Improve your capacity management by automating the check-in process for drivers and automating communication with drivers. The driver checks himself in thanks to the self-service terminal. Cameras take pictures and record video of the truck when he enters and leaves the site. The driver receives a text message with the route to follow on the site. Peripass controls the access control hardware. Peripass controls the valves of the tank storage. Shunters receive a message where the trailer must be placed. The truck is weighed, Peripass receives the weight and forwards it to business software. Peripass announces that a new truck has arrived at the waiting car park. Logistics employee dispatches the truck to the correct gate. 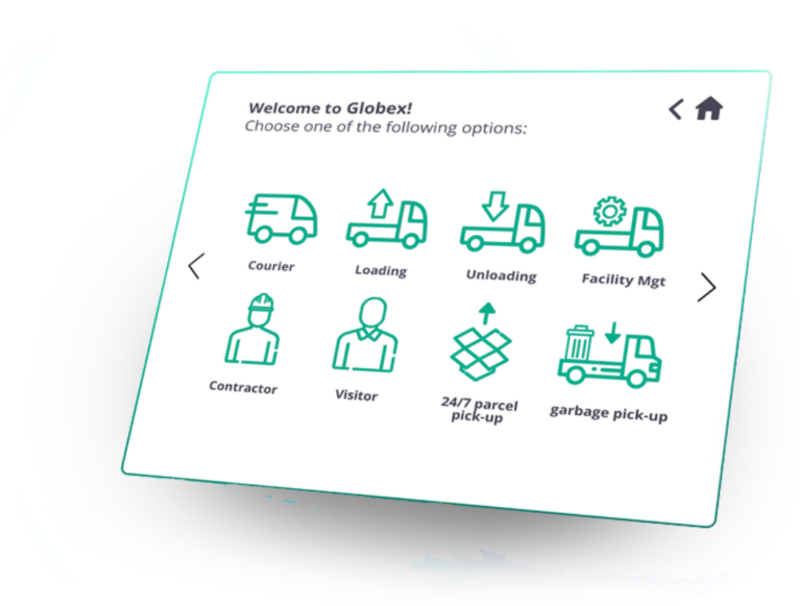 Pick-up and drop-off of trailers and containers is automated. 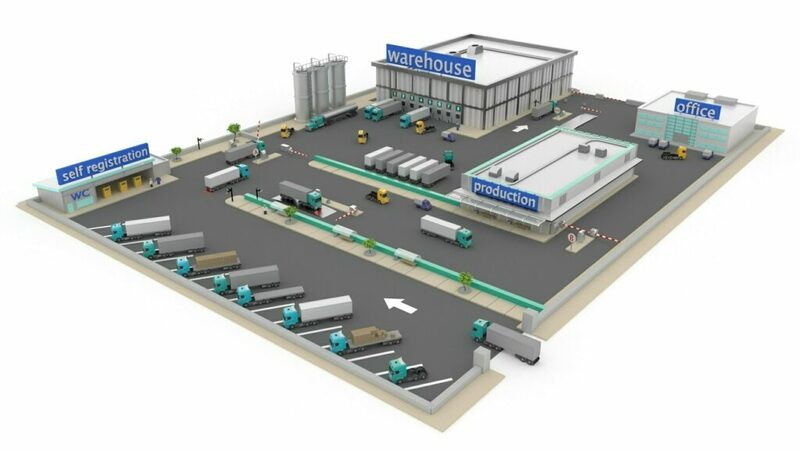 Peripass controls internal processes: conveyor belt, automated warehouse, etc. A second weighing determines whether the exit code becomes active. Production staff know in real-time which transports have registered specifically for production. Reduce the check-in time and time spent on site by 10 to 50% thanks to the smart automation of flow-through on your site. Link your compliancy requirements with the flow-through process? Yes, you can. What does the optimal flow-through on your site look like? Do some situations create confusion? What can you automate? Are drivers aware of your company rules? What about compliance with AEO, ADR, ISPS, IFS, SEVESO, TAPA, SQAS, VCA, requirements? How does Peripass achieve this? By linking your business software (ERP, TMS, WMS) to the existing hardware. Peripass sends real-time updates to your hardware about each transaction. An intuitive check-in process in an unlimited number of languages, even in the Cyrillic or Greek alphabet. Peripass uses existing business data (PO numbers, slot reference, etc.) during the recognition process. Drivers enter additional information to complete the validation process: mobile phone number, road haulage company, temperature of the goods, etc. Does the driver fulfil all the requirements? Then Peripass lets the driver proceed to the right gate and sends the changed status to all the linked systems and applications. 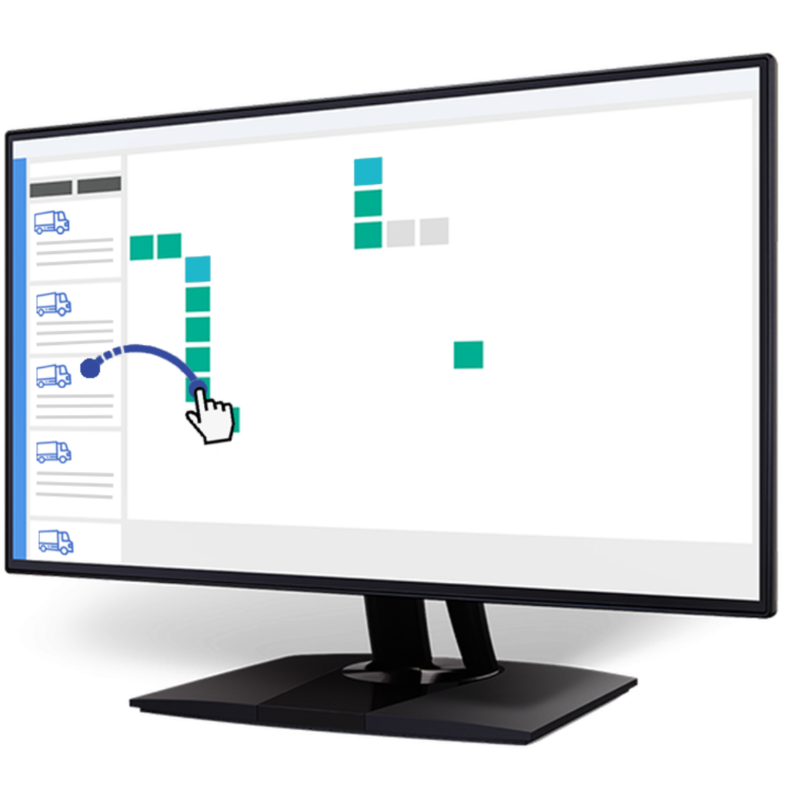 Coordinate truck inflow with your internal business process. Improve the efficiency of employees and resources to increase productivity across the board. Ensure onsite safety with a safety video or a safety test. Determine the validity of the test results for every visitor profile. Has the validity expired? Then the visitor or driver will automatically be denied access to the site. Peripass sends a text message listing the right gate and a unique access code with automatic access rights. Peripass can be used to control digital signs, so drivers can easily find their way around the site. Automatically print additional information: safety procedures, the route to be followed, notifications about onsite works. 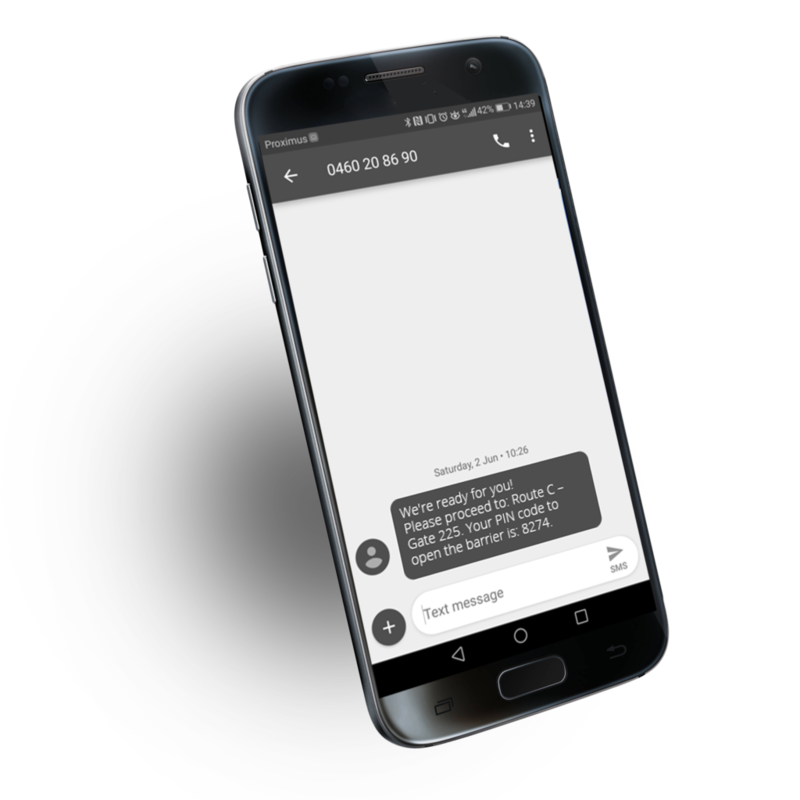 Send a specific notification from our catalogue of notifications to a driver, about specific safety conditions for example. This is automatically done in the driver’s language, to avoid misunderstandings. Receive information at any point in time about all the trucks onsite or in the waiting areas. Find out who is on time, too late or too early to avoid unnecessary per diem detention charges or discussions. Peripass shows which loading or unloading zones are available. 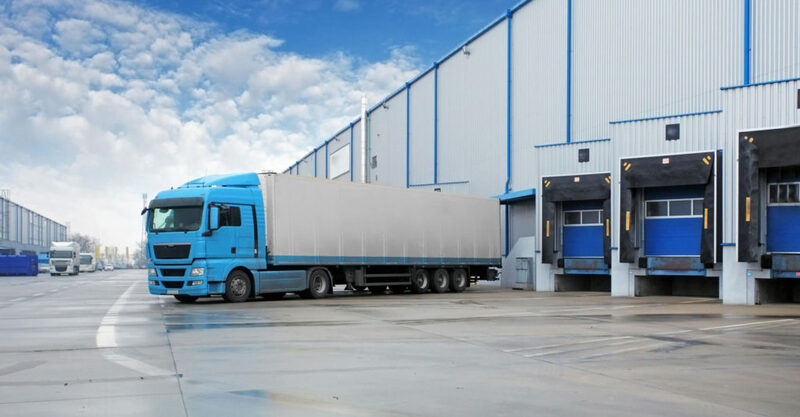 The dispatch of a truck to a specific gate automatically triggers the specific process for each profile – for trucks, trailers and containers. Automatically send the right resources and the right goods to the right gate. The Peripass app directs shunters and forklift drivers to the right location. The Peripass dashboard keeps you informed about what’s going on at any point in time. 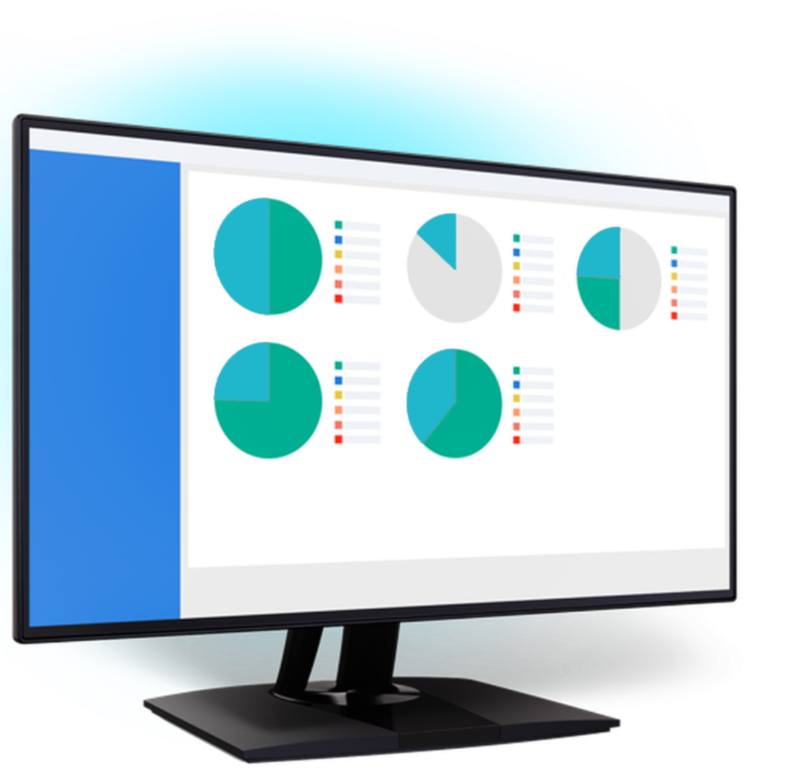 Check important SLAs and KPIs in real time. All the data received by your hardware is automatically sent to your business software. All the information collected for every transport is saved in a unique profile, e.g., a photo that is automatically taken upon arrival of a truck. This information can be consulted for a longer period of time, in case of discussion. The Peripass open platform promotes easy integration with several existing hardware applications (weighbridges, LPR cameras, PLCs, ticket printers, barriers, etc.). 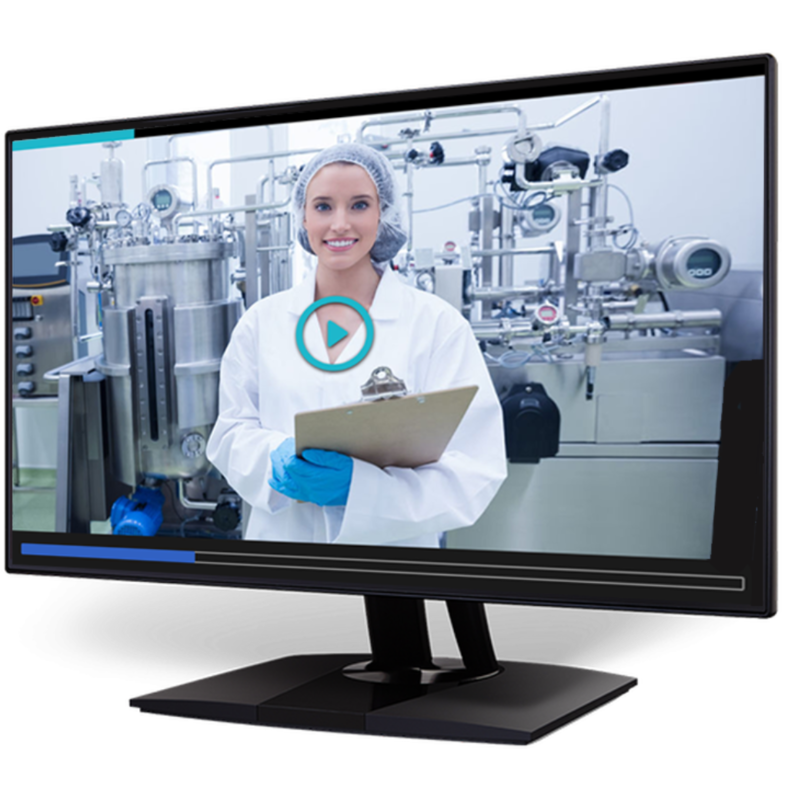 The hardware and business software communicate more smartly and in line with the process that you defined beforehand for every profile. Peripass can be integrated with various access control systems, including Paxton, Lenel, Honeywell, Alphatronics, Nedap, Dinec, Almas Industries, Rosslare, etc. 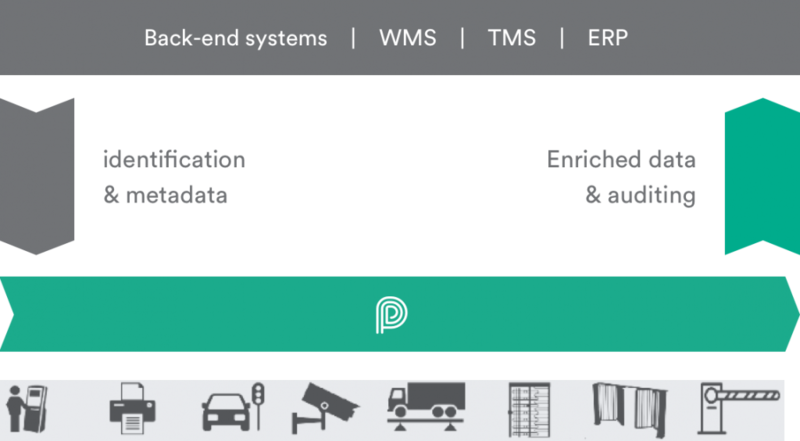 Peripass can be integrated with the most common hardware solutions, such as Zebra, Tattile, Axis, DataLogic, Honeywell, ARC, etc. Set up Peripass yourself using our flexible and adaptable platform. Configure it based on your business process to ensure Peripass is always in tune with your business. You decide which processes are automated first, based on the operational business requirements. Our know-how and best practices shorten your thought process and guarantee results.